Outsourcing software development projects offshore, is a tricky balance between lowering your development costs, high quality work, and on time delivery. At Digital Mesh, we excel at all three. We are also a bit different from other companies. We do not do corporate BS. When you talk to us, you will find that we are straightforward and up front about what we can and cannot do. Whatever your requirement, whether its application development, code maintenance, or ad hoc outsourced development support, we have billing models that will fit your needs. If this is your first try at outsourcing then you are likely to be nervous.. We understand that. Outsourcing, when done wrong can be an unmitigated disaster. When done right it can have a direct impact on your bottom line. That is the sweet “ka-ching” we want to hear too. Our founders have had years of experience in software development before starting Digital Mesh. This experience has translated into a bulletproofed software development framework and a robust, agile project management system. These processes have helped us make consistent and positive contributions to our clients’ business objectives. See what our clients have to say about offshore software development with Digital Mesh. You may also want to learn more about Digital Mesh and its founders. That will give you the big picture about who we are, what we do, and why we do what we do! If you have any other questions, please do contact us with your concerns. An outsourced relationship across thousands of miles needs a high degree of trust and transparency. We are confident we can deliver exceptional value for you. We also need you to gain that confidence in us. So go ahead and contact us. Ask whatever is on your mind and we will respond within a single business day. Enough already? Great! Let’s start talking about your project. 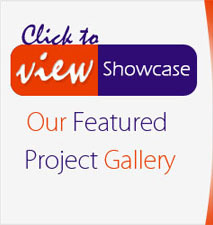 Head over to the Projects Enquiry page please and let us know your project details. You’ll get a personalized acknowledgement within 12 business hours. Don’t worry about any of the techie jargon if it’s flying over your head, just skip on ahead. You won’t hear g33k sp34k (geek speak) from us unless you are a techie yourself. We will talk to you in terms of your business and figure out the geek along the way or download ourselves into your techie’s brain to get the gory details (kidding!). We know that outsourcing your software development projects is not an easy decision to make. And when the software outsourcing vendor is an offshore entity it just makes the decision that much more tricky. This is why you need to select your offshore software developer carefully. At Digital Mesh we have more than 12 years of experience providing offshore software development services to global clients. This long and varied experience has helped us fine tune our processes. We can confidently claim that you can’t go wrong when you choose us as your offshore software development partner. Need to know more? Begin with getting to know how to get started with us, then learn about our bullet proofed project management system, then delve into our security practices that protect your data, and finally understand the commercial billing models we work with.